This is an old school definition of “marketer” from my old school Merriam Webster’s Collegiate Dictionary published in 1993 that I took with me to college. What a simple definition. One that promotes or sells a product or service. The problem is that, while roles required of a marketer have changed, most marketers continue to be ruled by this old playbook. They sell a product or service. That’s it. I started thinking through words that come to mind when I think of a “marketer.” This reflects not only what I think of the common-day marketer, but how they are perceived. 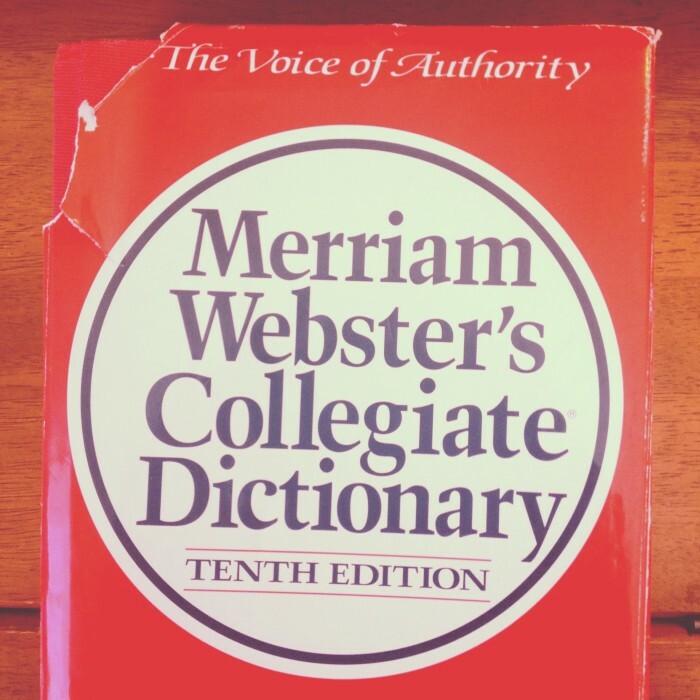 Immediately after graduating from college with that dictionary, I floated around for a bit with no clear vision of what I wanted to do. I bartended for about 10 months and then took a job with a telecommunications company. That would lead me to possibly the most important job of my life: A telemarketer. I hated it so much. I would drink extra water to give me an extra excuse to get up from my desk. I hated calling these people because I hated getting those calls. You know how “good” telemarketers won’t let you off the phone? I was totally cool with it. You’re busy? Don’t need what I’m selling? No problem. Have a good day! I was possibly the worst telemarketer in the history of telemarketing. A big reason for this was the expectation of pushiness, deception and sale at any cost. Luckily, things improved for me after that. A series of decisions and opportunities would lead me to a dream job of overseeing Fantasy Games for the NBA. Soon after my time there ended, I started looking for a new job. One of those jobs was as VP of Strategic Marketing. I wasn’t a marketer, I thought. Why would I do that? How could I possibly be qualified? It turns out I was actually behaving as a marketer with the NBA, and I never realized it. I had ads created. I managed message forums and the first NBA Facebook group. I led online and magazine content, writing and assembling the strategy. Somehow, in the midst of doing something I loved, I was a marketer. But it was clearly defined in a different way than the caricature I had previously visualized. Your role needs to be more than selling and promoting. Particularly now in this online world. Don’t treat people as robots and numbers. Don’t demand black and white results as if we live in a vacuum. Don’t blame the tool or algorithm when something doesn’t go the way you planned. You can’t succeed in today’s world as a simple marketer. Don’t let it define you. 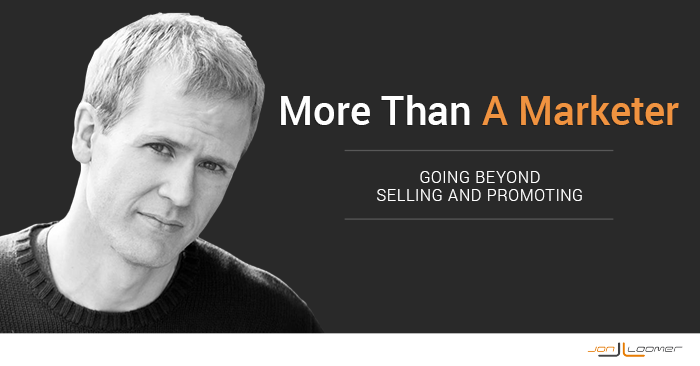 Be more than someone who sells or promotes a product. I want to be proud of this industry. And the way it’s currently perceived — and the way many execute the role — is nothing to be proud of. You’re more than a seller and promoter. You don’t need to be sleazy or manipulative or deceptive. What are the keywords missing from my list? Let me know your thoughts below!